One of the downsides of being a freelance consultant is the irregular cash flow that comes with the cycles. However, you still need to ensure that you receive at least a steady sum to keep the practice running. This issue can pose a nightmare since you may have thousands of dollars in unpaid receivables which you still can't collect for one reason or another. Thus, having a retainer agreement with your clients will act as the ultimate shield against the cyclic flow of consultancy fees. Having a monthly retainer agreement will take you from being reactive to being proactive while providing the assets to keep your business afloat. 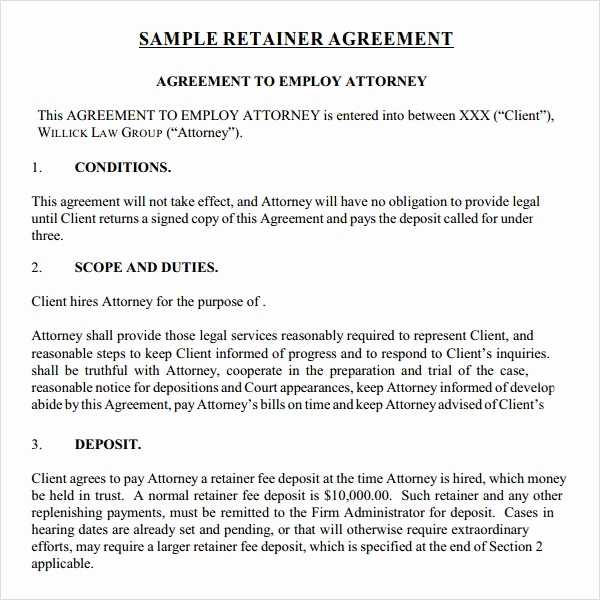 Thus, how do you go about selling a retainer agreement to your clients? For most consultants, selling the idea of a monthly retainer can be affected by the inability to communicate their value to the clients. For many others, the task of asking the client to sign a retainer agreement is riddled with the fear that the client may reject the entire deal. However, to ease off the pressure of asking the client to sign a monthly retainer agreement, you can make the monthly retainer a product by unbundling the services they find valuable each month. It could be a monitoring service, marketing campaign or any service the client will discover valuable each month. This arrangement allows the client to see the value in your continued services for their business instead of viewing your services from a single one-time package. This also removes the image that the clients will pay a monthly fee "just in case" they need your services at one point or another. Thus, the client will have a thorough understanding of the value they will be getting on a monthly basis. Once the client is on board with your services having tried your products, it is better to sell on the value of the product you had sold rather than opting to bill the client hourly consultancy fees. Hourly retainer pricing limits your profitability. The better the services you provide are, the less you subsequently get paid. The subsequent services will require less time to execute. However, if you sell to the client what you will do for them every month concerning long-term facilities, you are guaranteed to make the same amount of money each consecutive month regardless of whether the clients "feel" they need you or not. For example, a website maintenance retainer could include services like bug fixes, technical support, keeping CMSs and plug-ins to date and so on. A vague contract encourages "scope creep" which occurs when tasks mutate into sub-tasks that require more time and resources to handle. Thus, the monthly retainer agreement should keep the boundaries clear. For example, the retainer agreement should define what a minor fix or revision is, otherwise how would the review be classified as overtime. A retainer agreement allows your clients to know what services to expect for the agreed sum, and if they would require additional support beyond the primary service provided, these extra services are clearly outlined. For example, you can describe the difference between a bug fix (which is when the system doesn't perform as required) and a feature (when the system performs as expected, but the client wants an additional function that wasn't in the original design). You can then explain when bug fixes applied, and how much extra the clients would need to pay to access the new feature. Securing just a few monthly retainer agreements with clients allows you breathing room during the low seasons where cash flow is expected to dwindle. Retainers help avoid end-month panic, as well as allowing you to schedule projects and growth plans. 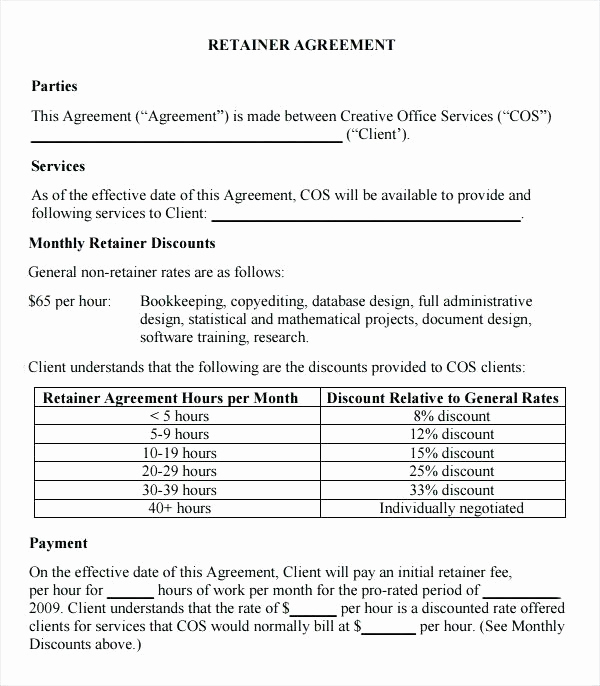 Moreover, having a retainer agreement boosts your relationship with your clients over a more extended period.